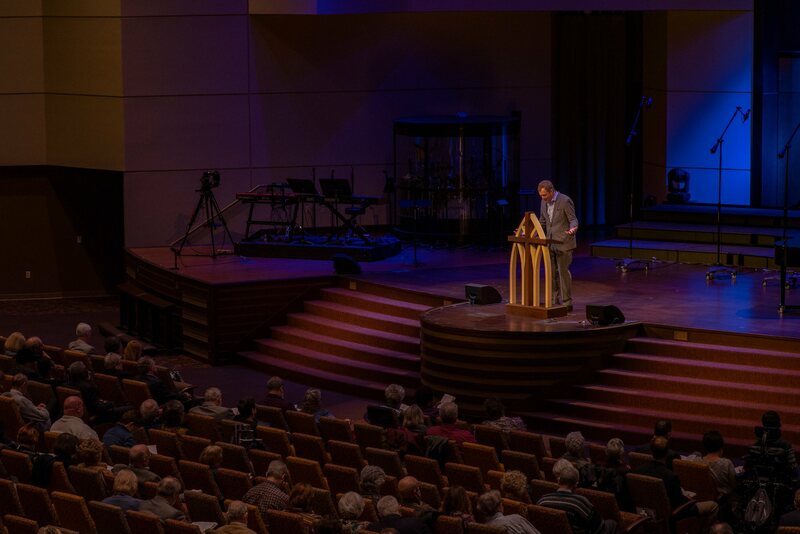 Last Sunday, January 27, was a joyful day on the Quail Springs Baptist Church campus as Dr. Rummage preached in view of a call to be the next senior pastor. That evening as the Quail Springs Search Committee Chairman, Jim Hawkins, shared the results of the vote––in favor of Dr. Rummage––he was quickly interrupted by the congregation's affirming cheers and loud applause. There's no hiding it––we are delighted to welcome Dr. Rummage and his wife, Michele, into the Quail Springs family! During his acceptance message, Dr. Rummage invited the church to keep the following priorities and prayer requests in mind as we enter into this exciting and new season of ministry together. A spirit of prayer and dependence on the Holy Spirit of God. A commitment to learning and living the Word of God. A passion for expositional, Christ-centered preaching. A burden to see lost people come to know Jesus as Savior and Lord. A challenge to pursue Jesus with others (www.qsbc.org/2019theme). A desire to take the gospel to the ends of the earth through international missions and international mission partnerships. A vision to reach Oklahoma City and far beyond with the transforming message of the gospel. Their hearts to be knit together with our hearts, not only in fellowship but in friendship. God to give a fresh vision of what He wants to do in the days to come. God to give grace and provision as they relocate. Pray for the sale of their home in Florida and finding a home in Oklahoma. Bell Shoals as they begin a transition process. Their son and daughter-in-law. Pray for God’s grace to give them sweet times together as a family. Their love and our love together to grow toward Jesus, one another, and toward lost people. Watch Dr. Rummage's acceptance message. If you didn’t get the chance to meet the Rummages during the receptions, you can still review the information below and plan on introducing yourself in the coming months! Learn more.